We absolutely loved working with Tam. She had the most adorable set-ups ready when we got there and was just so good with our son. The pictures she took are amazing and we're so happy with them. 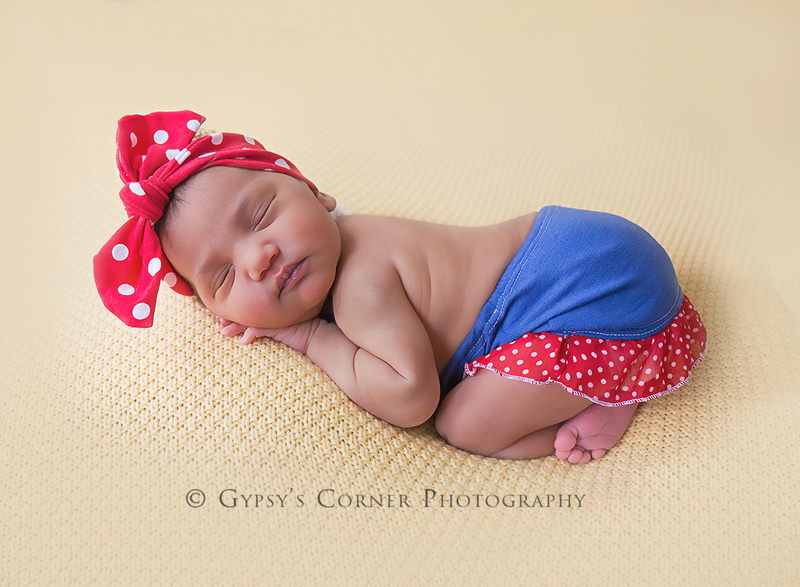 So glad we decided to book with Gypsy's Corner and we can't wait to do future shoots! My husband and I couldn't be happier with how beautifully our newborn's pictures turned out. When we arrived at the studio I was amazed by all the props available, way more than you can possibly imagine. Even more amazing was the amount of time and creativity Tamara put into planning out personalized setups for our baby girl. If you dream it, I truly believe she can make it happen. Our week old baby fussy and awake a good part of our session Tamara was understanding and calmed our baby like an expert. I had no fear leaving my tiny baby in her hands! Our pictures turned out amazingly even though our little girl didn't make it easy. We had so many different outfits and poses to choose from. The variety makes the price an amazing value. Tamara is a professional and artist! 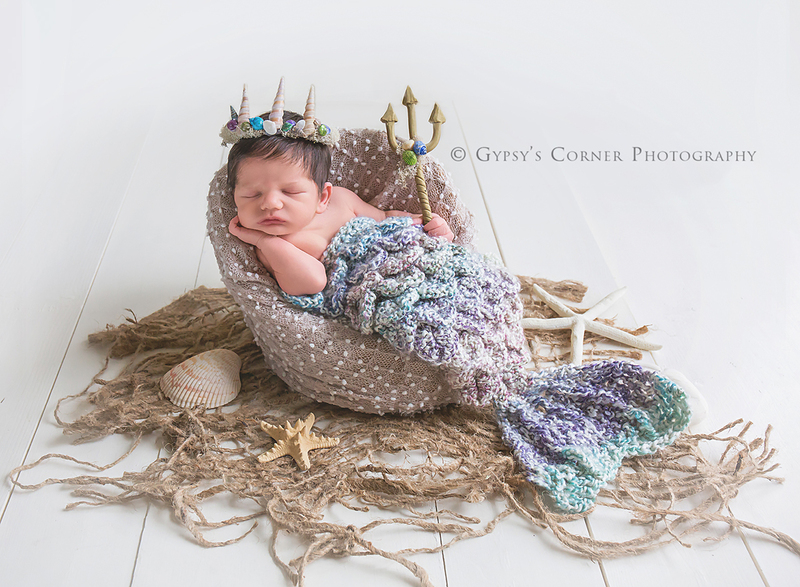 She takes newborn photos to a whole new level! We can't wait for baby's 6 month pictures! Photography is a way of feeling, of touching, of loving. What you have caught on film is captured forever… It remembers little things, long after you have forgotten everything. Tam is great at freezing that moment in time and taking care of your little ones while creating art that captures the love, curiosity, and joy in their hearts. Tam is fantastic. 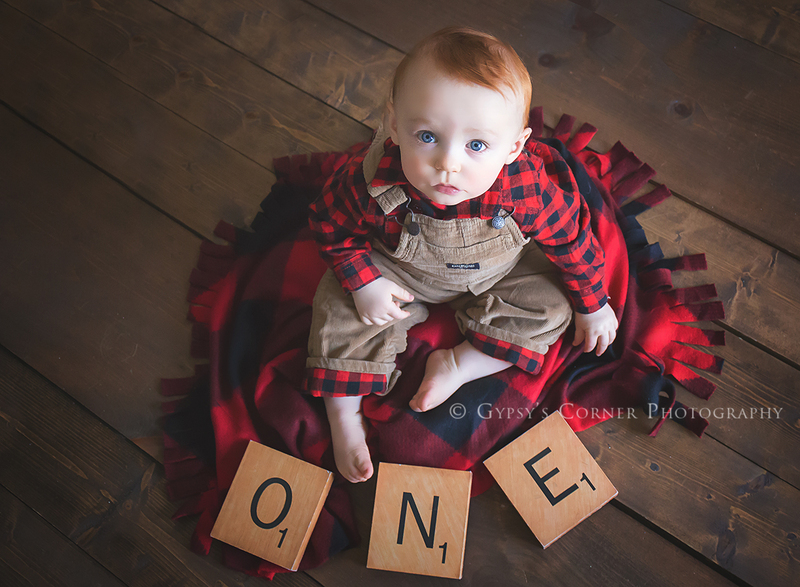 We are in love with our cake smash/ first birthday pictures. Tam is warm and has a welcoming demeanor that really allowed our son to open up. We were drawn to her because of her extensive props and various set ups. She is affordable and very accommodating. She captured so many great shots and we couldn't be happier! I look forward to using Gypsy's Corner again in the future! I had the fairy session done with 3 of my grand daughters together. Tam was awesome, had everything ready, the girls just loved her and listened to everything she said. Tam is very patient and made the girls feel so comfortable they felt like princesses for the day!!! The pics turned out awesome and I hold them dear to my heart !!! Thank you for making all of us feel so special that day. Highly recommended!!!!! My family had such an amazing experience with our newborn session. The studio was very welcoming and Tamara was great! She was very patient with our son and also our 2 year old daughter. We were very happy with the props chosen for our sons pictures. Leading up to our session Tamara made every effort to find out exactly what my family liked and what we were looking for in our pictures! We will definitely be coming back for more photos, we could not be happier! These were Mias first professional pictures and not only did she do great and even though she bumped her head the night before that left a bruise, it was not noticeable in the pictures. Tammy was amazing with her. I highly recommend her to anyone!!! Tamara is a creative genius! We could not be happier with the pics she took of our newborn. Her patience and care really shows in her work. I would recommend her to anyone! Thank you!! Had a newborn photo shoot today and I was beyond impressed with the professionalism, kindness, creativity, and passion that Tam puts into her work. I felt immediately comfortable handing over my one week old baby to this stranger and letting her work her magic. I totally recommend her to anyone looking to capture a little of this magic with their baby. We are already planning on booking another session with her once our baby is old enough for an outdoor photo shoot. Tam was wonderful to work with! She came very prepared for the photo session and was extremely patient with my 3yr old which put us both at ease. She got my daughter smiling and was respectful of little ones dislikes lol. Tam was very accommodating with my schedule especially with a toddler. My pictures came back quickly and we're beautiful! 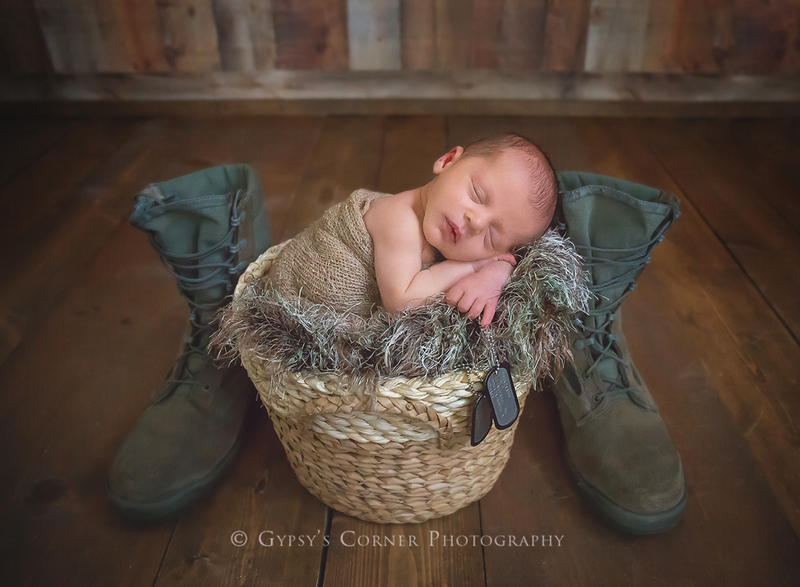 I highly recommend Gypsy's Corner Photography and will definitely use her again!